The image has sparked concern. A GROUP of fed-up flight attendants have shared an image on social media claiming to show the "disgusting" way they are treated by their airline. 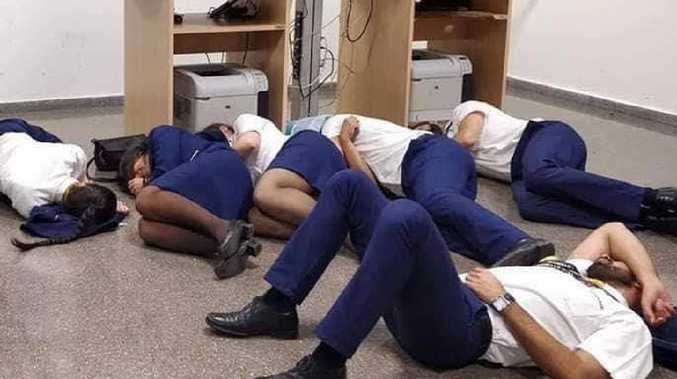 The shocking photograph shows Ryanair cabin crew members sleeping on the floor of an office at Spain's Malaga Airport on Sunday morning after being left stranded by a storm. The group of eight pilots and 16 flight attendants claim they were forced to stay in a small room with only eight seats from 1am to 6am. They also allege there was no access to food or water. The image, which first appeared on a Facebook page called Ryanair Must Change, was later shared on Twitter by user Jim Atkinson and has been retweeted nearly 2000 times. He tagged Peter Bellow, operations manager of the airline, who responded: "Unfortunately all hotels were completely booked out in Malaga. The storm created huge damage in Portugal. Later after this, the crew moved to VIP lounge. Apologies to the crew we could not find accommodation." 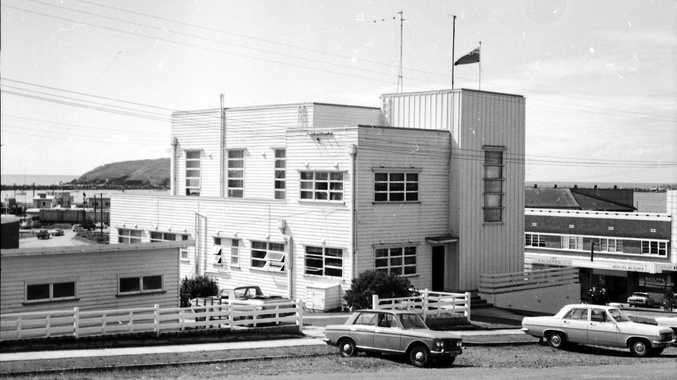 However, this version of events was dismissed by Mr Atkinson, who said, "The pilots aren't buying it," along with an image appearing to show a text exchange about the plethora of available hotels in the area. Fernando Gandra, a delegate for SITCPLA, the Portuguese union for airline employees, also wasn't convinced about this version of events. "Maybe all hotels around Málaga airport and the city were full, but for sure it would have been possible to accommodate these crews in different hotels, even ones far away from the airport." The image has been widely condemned on social media with those on Twitter using the hashtag #RyanairMUSTchange. A Ryanair spokesman has since rubbished the photograph and claimed they spent just a short time in the room before they were put up in a VIP lounge. The staff were reportedly flown to Porto, Portugal a few hours later, but were made to wait on board for nearly three hours while a captain was flown in from London to operate the flight.